Remember the good ol’ days of television when you tuned in to see Clayton Moore as the Lone Ranger, and Lorne Green as Ben Cartwright as he defended the Ponderosa Ranch? 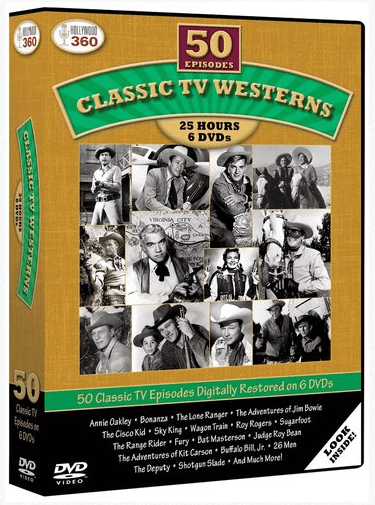 Relive those days with this 6-DVD collector’s set featuring 50 of your favorite episodes from the best Western shows ever to air on TV in the 1950’s. More than 25 hours of classic TV Westerns.